Marks & Spencer is located directly in The Lexicon Shopping Centre at 1 The Avenue, a 0.20 mile driving distance north-east of the centre of Bracknell (nearby Garth Hill Technology College and Princess Square Shopping Centre). The store serves the patrons of Bracknell Town Centre, Chawey Down, Popeswood, Newell Green, Easthampstead, Martin's Heron and Warfield. Today (on Monday) it's open from 8:00 am to 8:00 pm. Here you'll find hours of opening, place of business info or email contact for Marks & Spencer Bracknell, The Lexicon. 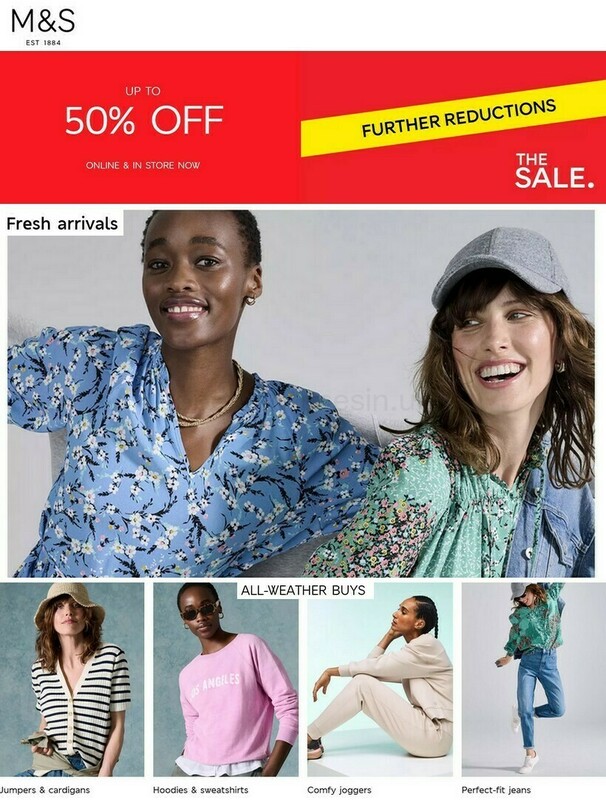 Visit your local Marks & Spencer branch in the vicinity of the crossroads of Bull Lane and Millennium Way, in Bracknell, Berkshire, at The Lexicon Shopping Centre. The store is only a 1 minute drive time from The Ring, Bull Lane or High Street; a 2 minute drive from Binfield Road, Church Road and Warfield Road; and a 12 minute drive time from Twin Bridges Roundabout (Berkshire Way, Downshire Way, Mill Lane). For GPS devices please enter the following postcode to get to this location: RG12 1BD. Get off the bus at High Street or The Ring/Police Station. Use routes: 53, 150, 157, 158, 162, 299, 702, 151A, 162A and Lion X4. If you're arriving by train, Bracknell Station (1950 ft away) is close by. The following line will bring you here: South West Trains. On foot you will discover Western Industrial Area, Ranelagh School, Lily Hill Park, Princess Square, The Elms Recreation Ground, Braybrooke Recreation Ground and Bracknell Bus Station. Marks & Spencer has 1 open branch in Bracknell, Berkshire. Visit the following link for an entire listing of Marks & Spencer locations near Bracknell. The UK holiday period may prompt modifications to the daily open hours for Marks & Spencer in Bracknell, The Lexicon. These alterations apply to Christmas Day, New Year's, Easter or Bank Holidays. It is suggested that you visit the official website or call the direct line at 0333 014 8555 to get added info about Marks & Spencer Bracknell, The Lexicon holiday hours of business. When shopping at Marks & Spencer, don't forget to take a look at the wide assortment of appealing stores at The Lexicon Shopping Centre. Existing shops such as Marks & Spencer, The Entertainer, H&M, Primark, L'OCCITANE, Nando's, Next, PANDORA, Fenwick, River Island, Boots, Foot Locker, New Look, KIKO MILANO, Office Shoes, Smiggle, Barclays Bank, Card Factory, Carphone Warehouse, Shoe Zone, Superdrug, Superdry, Pret A Manger, Flying Tiger Copenhagen, Matalan, TK Maxx, Deichmann and Mountain Warehouse can be found here. Help us keep the information as current as possible. In the event that you find errors in the location particulars or hours of operation for Marks & Spencer in Bracknell, The Lexicon, please inform us by using the report a problem form. Assist other customers with your feedback! In the form below please voice your opinions of Marks & Spencer and rate the store using the star ranking scale.